This entry was posted on January 26, 2010, 4:33 pm and is filed under SharePoint, SQL Server. You can follow any responses to this entry through RSS 2.0. You can leave a response, or trackback from your own site. 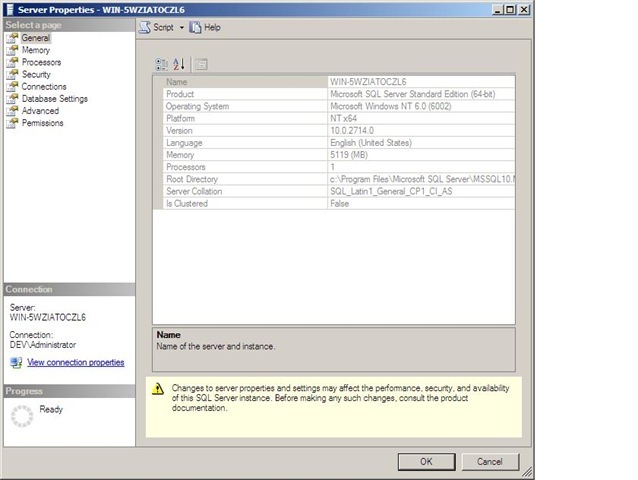 I just installed our sandbox environment with SQL Server 2008 SP1 and Cumulative Update 1. I found that SharePoint 2010 didn’t require cumulative update 2.